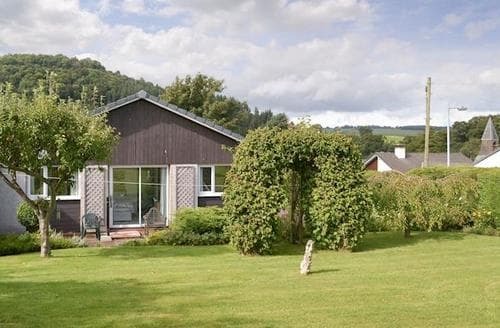 What our customers are saying about our Holiday Cottages In Howtown To Rent. "S18638 was a fantastic place to enjoy stunning Ullswater and the Lake District. Location wise you wont find better, you cross your driveway and you are on Aira Force. Overall we loved our break, but there are some areas we suggest need addressing. General cleanliness wasn't brilliant. The areas you see and use seem clean, but move the sofa 1" and you'll notice dust and books from the shelves (not any more as we hoovered and put them back). The window sills collected dirt and dead flies - the cottage suffers with flies full stop. We assumed its due to the location of the water, but we had half a dozen on the ground floor permanently. Spot lights in the kitchen hanging out of their sockets, door handles in places either not closing or in need of replacement. A very polite sign advising of the rules of the cottage - no dogs on the carpet, however this is contradicted in the guest services book as this states no dogs in the bedrooms. I understand not all dog owners are as careful of other peoples property but there was no fear of our dogs making the carpet any dirtier than how we found it.The upstairs barn / games room area still has the leaves from the autumn brushed into a lump.The patio set could do with an update. If we were paying £200 for the week I wouldnt moan at a cheap plastic table and chairs, but they are dirty and flimsy - there's a tatty old parasol in the outbuilding you can use if you wish, we gave it a miss. The property needs a little bit of love. It wouldn't take much to make this place stunning." "Whilst we liked the cottage a lot and it was perfect for the dogs we did feel that there is a growing 'snag list' of items that need addressing at the cottage. Light bulbs need changing. The sink in the utility room is not connected properly therefore water runs into the cupboard underneath. The oven needs cleaning. The overall cleanliness of the cottage was disappointing. The toaster needs replacing. The table by the main entrance to the cottage has a leg that is NOT connected to the table and therefore the table is just resting on the leg. It looks as though woodworm has eaten its way through. This could be dangerous to dogs and small children. Some of the light sockets don't work. Some of the plug sockets don't work. We would stay there again but feel that the above took the shine off staying there." "Love this cottage. This is the second time we’ve stayed there and will be staying again next year. It would benefit from a full deep clean but there’s only so much one lady can do on her own! It’s far from unliveable, but people do tend to pick at it. The only thing I would recommend they do is buy a new double bed and bedding as that one is getting a bit old now. Oh and maybe a bigger frying pan but that’s not important. The location is perfect! 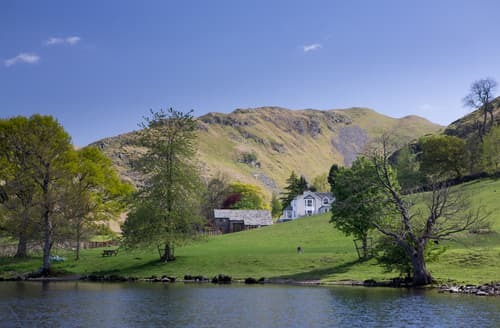 Right beside Aira force, lots of great walks from the door, the pier for the Ullswater steamers just over the road - what a beautiful lake that is!! 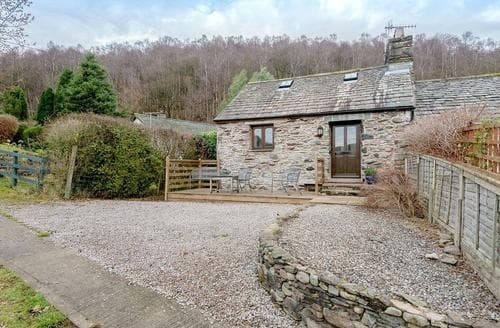 Would recommend this cottage to anyone wanting to stay in the lakes, it’s in such a relaxing place but only a short drive into Keswick if you want to go shopping." "We arrived to a sic 'n span bungalow & found everything we needed ready for us! I had the single room because of the door into the garden; I spent a lot of time looking at the view as I am an early riser. My daughter in law was fascinated by the birds nesting in the eaves and my son found somewhere to fish. I saw lots of old friends in the district & Penrith is a shopper's paradise - even Sainsbury's is far better than my local one! Terrific eating places within easy reach. This is all quite apart from the glorious Lakeland scenery. I was taken for a drive at 6.30 every morning to my favorite spots far from the crowds later in the day. Fabulous weather enhanced the little holiday & all of us agreed we would return next year - if not before. RG Oxford"
"This has the potential of being one of the best cottages we have stayed in. 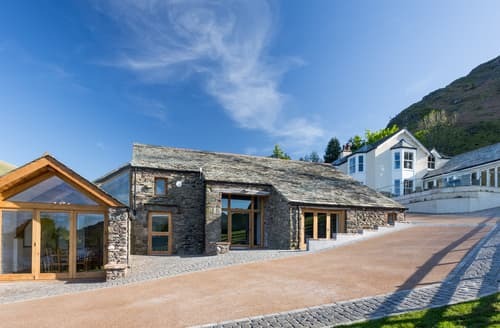 The cottage has a fabulous location very close to Aira Force a NT venue and has many local walks and within 400mtr of Ullswater lake. 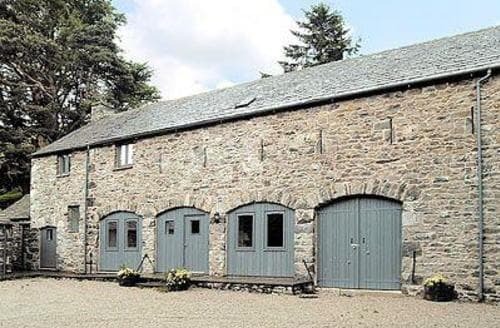 The cottage has everything you would need for a comfy stay and the additional activities such as table tennis, darts and the fact you can take your dogs were great. The only downfall was mentioned many times in the visitors book and was that some general maintenance was required and a good clean.We hope this does not put people off as we enjoyed our stay and will probably book again"